The AR Drone does not come with much in the way of a manual and many new users find themselves wondering what to do first. 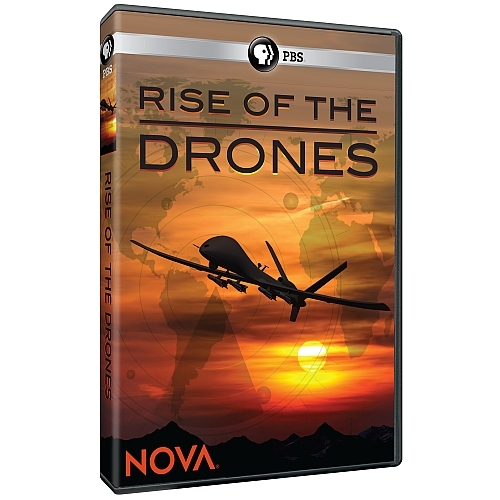 This will be a complete step-by-step guide to get you up and flying as quickly as possible. 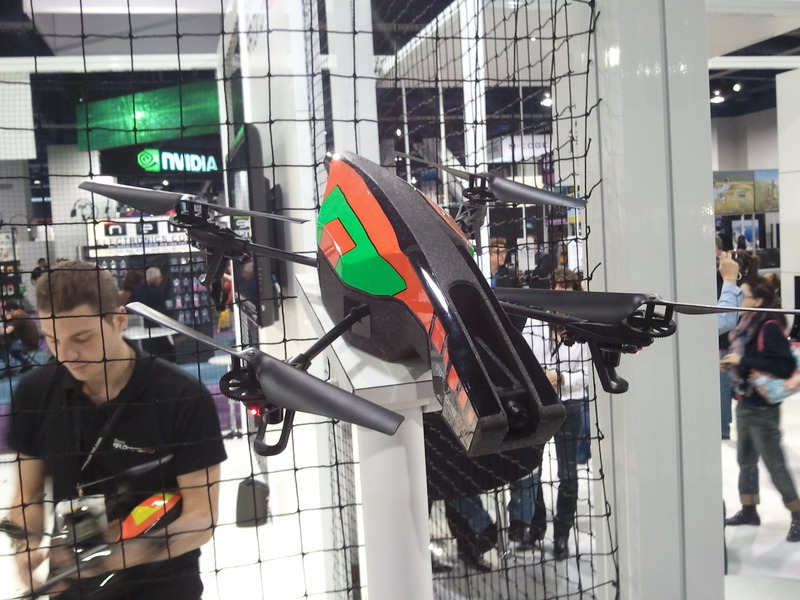 Unfortunately you cannot just unbox the AR Drone and run out and fly it. You have to charge the battery first. Expect this to take about 1.5 hours although it will probably be a little shorter than that. On the top of the chassis and on the top and bottom of the hulls are clear plastic sheet covers, you will want to remove these to make sure the hulls seat properly onto the chassis. There are actually multiple apps available for both iOS devices and Android devices. Search your appropriate app store for AR Drone and find the official Parrot AR Drone app, and maybe a few extra apps if they look interesting to you. Unlike a helicopter, you don’t just turn up the throttle until the drone takes off, you press the Take-Off button on the application. When you hit Take-Off, the drone will do a quick self-test, do a quick rotor test, and then climb about three feet off the ground and just sit there waiting for you to control it. The control “stick” on the right side of the application controls your altitude and left/right rotation. You only need to touch the screen and move your finger around the controller area for this control to function. On the left side is a press-to-activate control for left/right and forward/back tilt. To use this control you simply touch the screen there and then actually tilt your phone/tablet to make the drone tilt in that direction and start moving in the direction of the tilt. 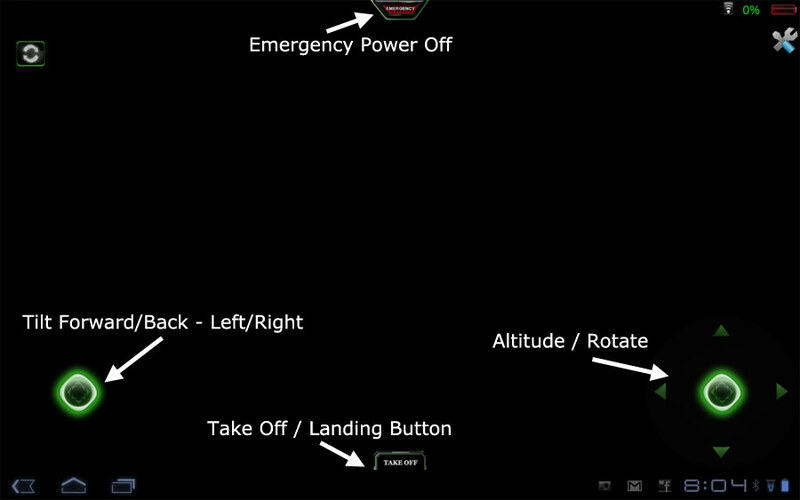 To land, maneuver to the spot you want to land, get you altitude as low as you would like, and press the Take-Off/Landing button. Once the charger is showing a green light, the battery is charged and you are ready for your first flight. Place the drone on your launch location, the box works really well for this, and I will explain why in just a moment. Once the AR Drone powers up, it will start broadcasting a WiFi SSID that you need to connect to from the device you are going to use to control it. 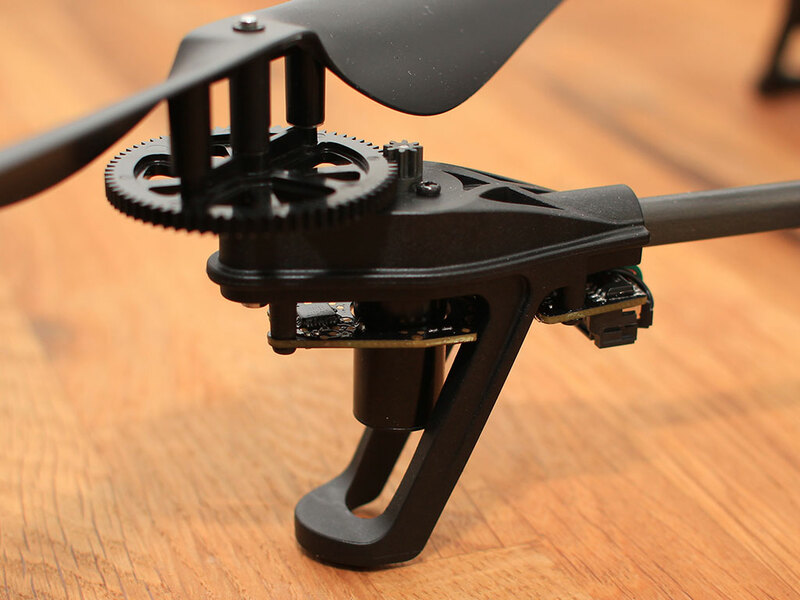 Connect to the ardrone WiFi network and then launch the AR Drone controller application. 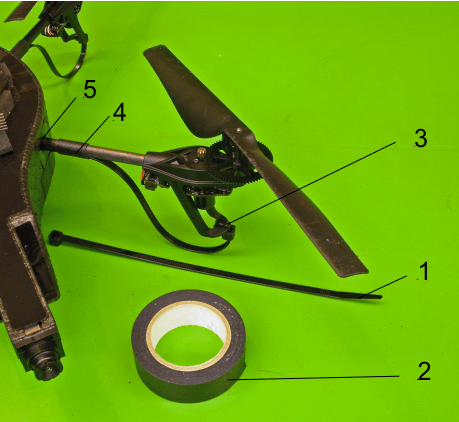 If you are properly connected, the app will launch and display the image from the drone’s front camera. At this point you are ready to take off, but before you do, you might want to read the next section. When you start off, your AR Drone will be in a limited functionality mode. In this mode you are going to be limited on speed, range, and altitude. 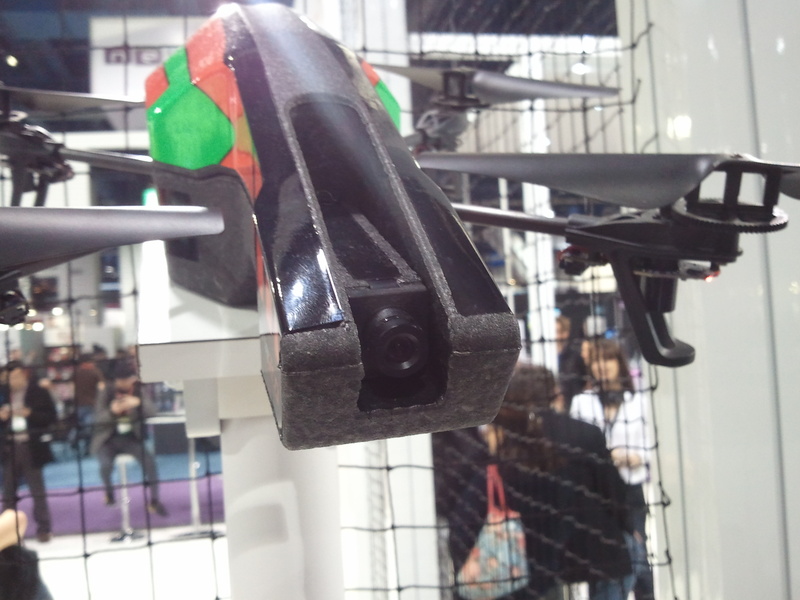 On the bottom of the drone is a down facing camera and two ultrasonic sensors. When you are below about 10′ or so off the ground, the ultrasonic sensors are acting like sonar and redetermining the altitude off the ground. 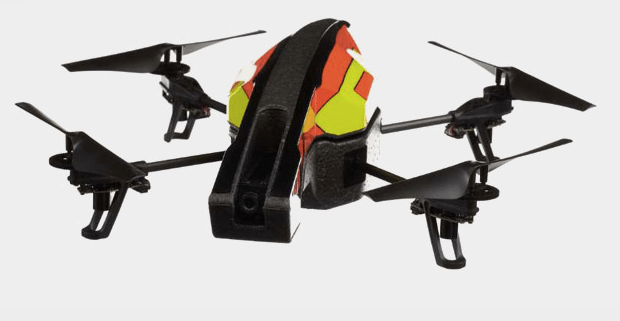 This system helps to keep the AR Drone at a constant altitude to help make sure your drone doesn’t go flying away or take a nasty header into the ground. No matter how much you try to push it, it simply won’t go outside of these limitations. Once you are comfortable flying you can go into the application’s settings and disable the limiters. 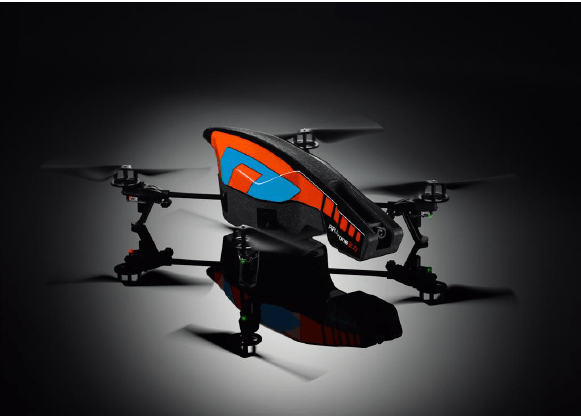 The AR Drone is the easiest aircraft to fly you will ever have experienced. Take your time to learn it, practice with it, and improve your flying skills until they become second nature and then unleash the beast by using the outdoor hull in a wide open space and push it to its full potential.